This multi-purpose kids Table & Chairs Set by Step2 can be used inside, or outside. The sturdy "X" design of the table and four chairs provides stability and durability. 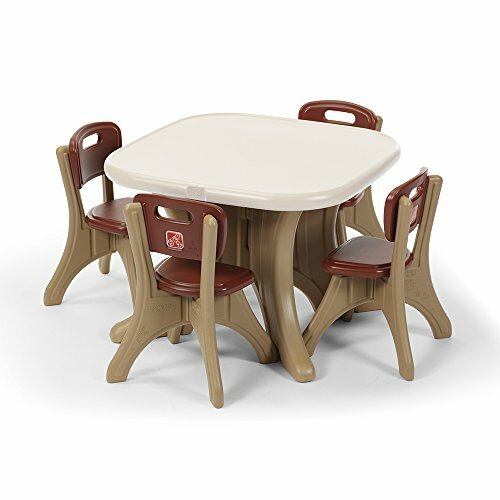 This kids table allows four children to sit at once and is great for eating snacks or using as a craft table.